This is a more 'modernized' Christmas classic and parallel to the older classic "A Christmas Story" if you have an open mind to changes of of the whole human race due to our technology advancement. 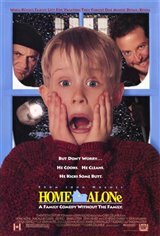 I enjoyed this movie as much as other Christmas classics. Awesome Funny movie with lots of twists and suspense. This movie is one my favourites, very funny, great holiday movie for all the family.